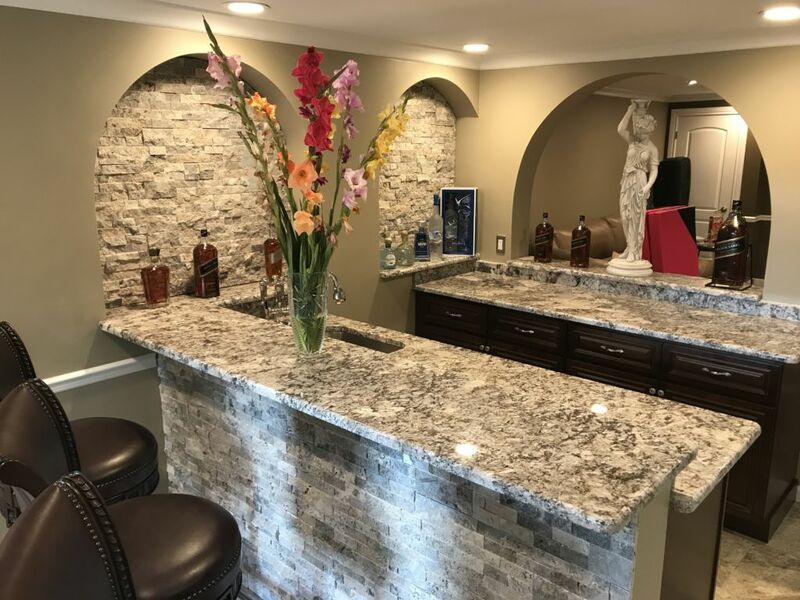 Modern & Elegant Bianco Antico granite countertop for a basment bar, With stainless steel under mount sink. This counter top project was done for this finished basment for one of our satisfy contractor / builder in Canton Michigan. The stone material quality and the workmanship is for the lifetime. Proudly we can guarantee your 100% satisfactory with our work.